When a builder constructs a physical structure, he could be hindered by material costs and physical limits. But in the world of web design, those limits all but disappear. The only real limit to what can be designed and brought to life on the web is your own imagination. At Reality Concepts, we believe that web sites should beautiful, functional and intuitive to use. Our specialty is primarily creating sites for home builders, new home communities and service-based businesses. Each site comes fully Search Engine Optimized and includes a range of features tailored to the needs of the client. We don't take a One Size Fits All approach. Every customer is unique, and their site should reflect that. 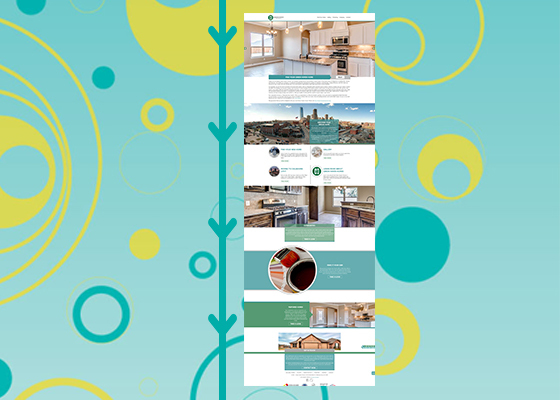 Our award-winning design team focuses on building clear, consistent and concise websites. Your site should be a gateway between you and your target audience. One that is easy and engaging to use, and able to convey to the customer what they need to know. With a site built from the ground up, you can have something truly unique and specifically suited to your brand. Your responsive site can adapt to the device it is displayed on. Features designed to work with anything from desktop setups to small touch screens make it a breeze to navigate on any device. Interactive features, including advanced CSS animations, Google Maps integration, photo galleries, and much more. A site just looking good is not quite enough. It also needs to perform. Every site we roll out goes through keyword research and painstaking Search Engine Optimization to make sure it is future-ready and built to compete as soon as it goes live. Social Media services can help grow your brand and increase incoming traffic as well. One of our secret weapons is our pair of built-from-scratch Content Management Systems. These allow you to login and make updates to your site from almost anywhere. The systems were designed to be easy, intuitive and efficient. Using these systems, we can start adding the content of a new site before the design is even finished, allowing for an incredibly fast turn-around from the signing of the contract to launching the full site. With a site built from the ground up, you can have something truly unique and specifically suited to your brand. 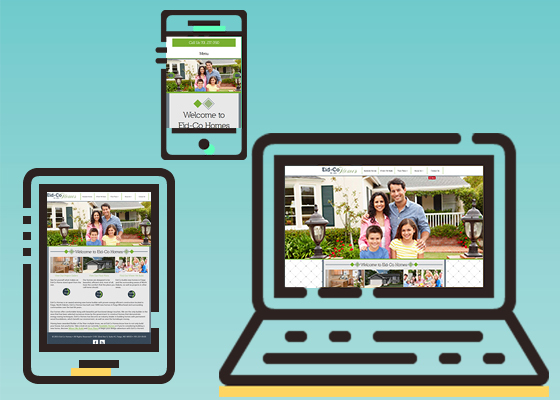 Your responsive site can adapt to the device it is displayed on. Features designed to work with anything from desktop setups to small touch screens make it a breeze to navigate on any device. Interactive features, including interactive plat maps and floor plans, virtual tours, advanced CSS animations, Google Maps integration, photo galleries, and much more. We saw much potentional in our HBCore system, so we decided to branch it out and create a version that could act as the backbone of any type of site, regardless of function. Including all of the features in HBCore, SBCore allows us to quickly and efficiently build beautiful websites with a high level of customization. 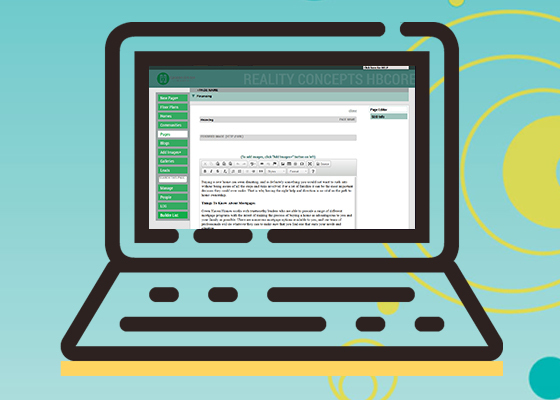 Just like HBCore, you will also have full access to a built-in blogging system. For specific examples of our sites and what went into making them, be sure to check out our portfolio of Case Studies.